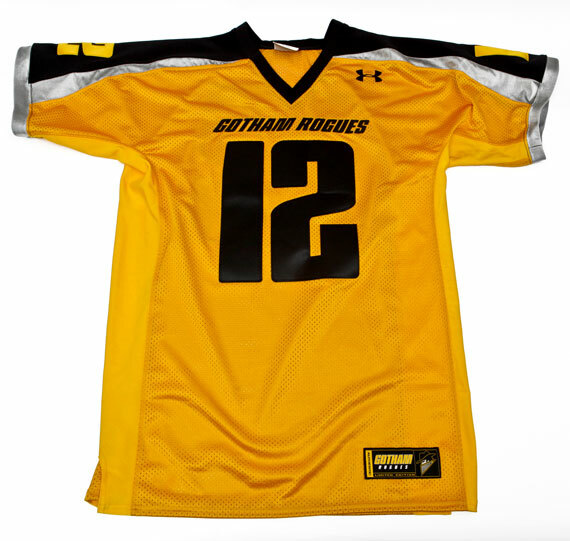 Under Armour releases a small collection commemorating the opening of "The Dark Knight Rises" and the fictitious Gotham Rogues football team. 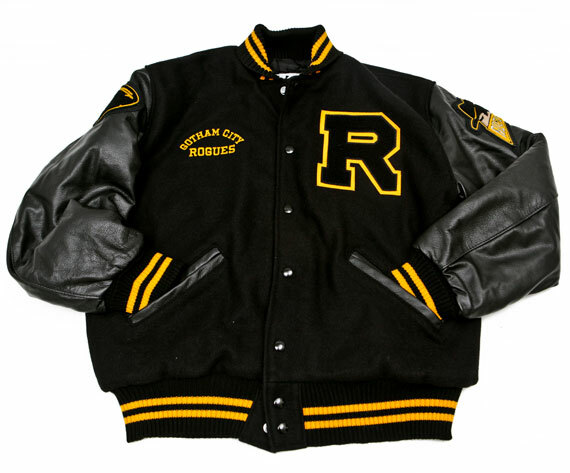 Arguably the most anticipated film of the year, The Dark Knight Rises, releases nationally at midnight tonight. 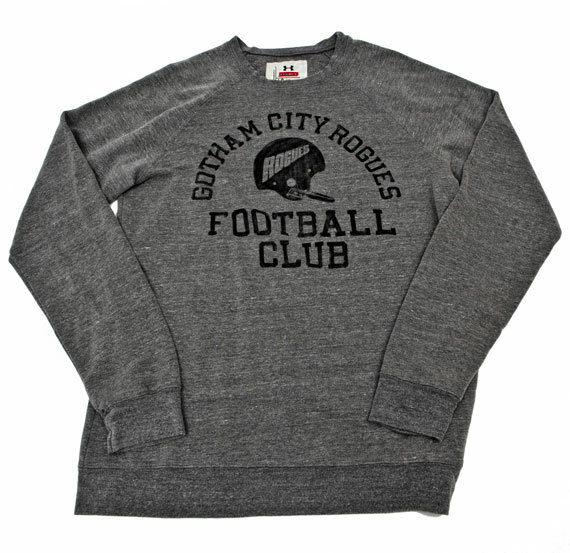 Gotham City's fictitious football team in the film, the Rogues, wear uniforms and equipment designed by Under Armour, who has released a small collection today commemorating the occasion. 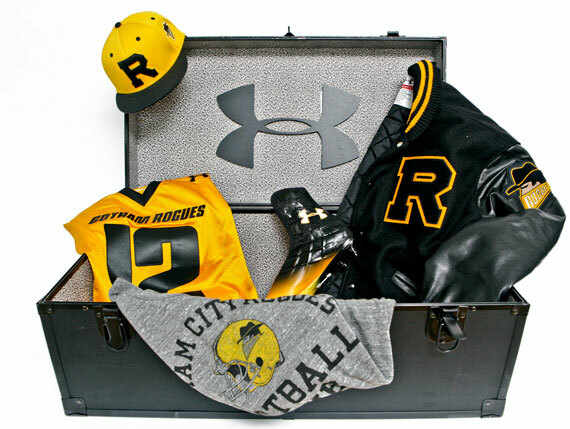 The Dark Knight Rises x Under Armour Gotham Rogues collection features the Rogues jersey, in addition to jackets, sweatshirts, tees and hats. 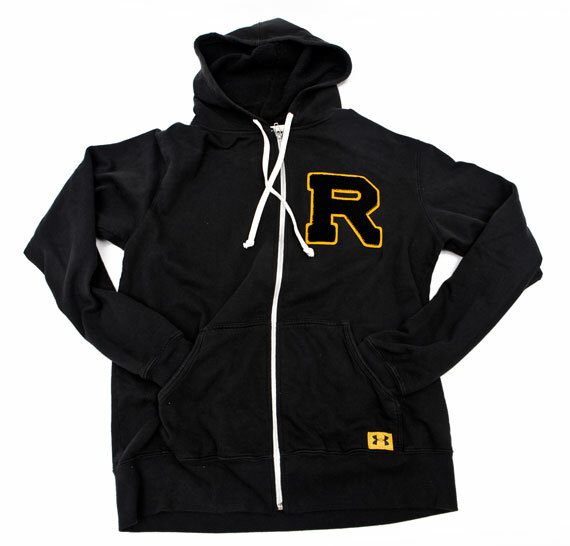 The collection is available now online at UA.com.